But, with these settings, from handbook, you won't be able to read file names with UTF-8 symbols, like unicode, arabic letters, etc. (execute # pw groupmod wheel -m [I]yourusername[/I] and re-login). -L=en_US.UTF-8 — adds UTF-8 support, so all file names are readable now. Then you need to unmount all autofs devices and restart automount and automountd (or just reboot). Also it is possible to configure automounting of your MTP device, like android phone, or some mp3 player. to your /boot/loader.conf, no others configurations needed, all work fine. To load fuse.ko kernel module without reboot, execute # kldload fuse. automount, automountd and autounmountd, so it will be also auto unmounted "after a period of inactivity". For now I know the only one way how to enable unmounting of FS-es mounted with autofs when using your file manager, like pcmanfm, as a regular user, or via umount command without sudo, execute # chmod 4554 /sbin/umount, also your user should be in "operator" group (execute # pw groupmod operator -m yourusername and re-login), use at your own risk. My phone and mp3 player are auto mounted with autofs, after accessing its mount points. Do not forget to remove "hald_enable" from /etc/rc.conf. This is how I use it. May be someone also has any suggestions? but sysutils/fusefs-ntfs should be installed. but ext2fs.ko kernel module should be loaded, so add ext2fs_load="YES"
to /boot/loader.conf, or add ext2fs to kld_list in /etc/rc.conf. that was described at the beginning of this post. "-m=770,-L=en_US.UTF-8" flags are tested to work with msdosfs only, so it may or may not work with NTFS, ext2fs(5) and exFAT. Mine was not good. I will try it again with the extra changes you pointed out and report later. EDIT: added in the extra tips you pointed out and I had a improvement. Now when the device is mounted I can use it properly. 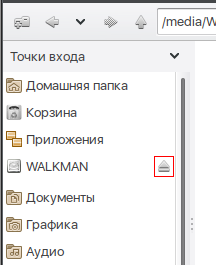 It appear automatically in x11-fm/pcmanfm-qt. The mtp seem to not be working, but I still need to look if it is not a Android issue. to /etc/rc.conf, to load it immediately, execute # kldload fuse. Also check your phone connection settings, it should be in mtp mode. in /etc/rc.conf, I will try to load fuse directly from /boot/loader.conf instead. sysutils/fusefs-simple-mtpfs is installed and the phone is correct configured, however I use a custom ROM and so I am willing to test using another phone to be certain of the result. Jul  3 21:32:22 workstation automountd: failed to handle special map "-simple-mtpfs"
and, as I remember, it is also present in 11 Release too. Just tested. It seems you didn't install this port, because it installs special_simple-mtpfs to /etc/autofs/ dir. That is weird. I am using 11.0-RELEASE-p1, and I have sysutils/fusefs-simple-mtpfs installed. I see the patch-src__simple-mtpfs-fuse.cpp and special_simple-mtpfs.in inside the port file folder, however it is not being installed. I will look in the build log to see if there is something. EDIT: nothing interesting from logs but the Makefile point to PR 193596, but if installing from packages the file appear in there. The sysutils/fusefs-simple-mtpfs was solved, or more like workarounded. As pointed in the Thread 54690/page-37#post-354124 it is/was the port fault. ILUXA Thank you for your detailed information! Unfortunately automount doesn't work very good for me when it comes to MTP devices (all different Android devices). Unfortunately I've had to switch to Debian for my daily OS for now because there doesn't appear to be a reliable way to access my various Android devices on FreeBSD. I've tried sysutils/automount and I've tried audio/gmtp and both have failed in one degree or another, even after much experimentation. It grieves me that I cannot just plug in an Android phone or tablet on FreeBSD and have it automatically appear in the file manager (caja, pcmanfm, etc) as it (usually) does in Linux...and then not even Linux gets it right sometimes. I've actually had to forward some of my Android device connections to Windows running in a virtual machine to get the files copied -- not fun, or cool. I do not know about audio/gmtp but sysutils/automount does not support mtps, as you can see here. Is there a reason to mounting mtpfs at /mtp instead of /media? I am asking because if it is not mounted at /media, x11-fm/pcmanfm-qt do not show it in the device section. I changed it to there and it is working quite fine here. Also I am not a some kind of pro/developer or something , I'm a regular user like you, so just test. So my advice to you, just create a bookmark to /mtp with your file manager. I have some question concerning autofs. 2. How to unmount ? I have permission denied when I try to click unmount in thunar. Set suid bit to umount is a little bit messy. 3. I'm not wheel. Can I set username in auto_master ? 3. You can try to use "-m=777" flag instead of "-m=770". I am waiting to Lumina split to several ports so I can install its tools separated. It is already possible but no one did it yet, and they do not know when they will have time for. The Lumina fm should deal well with AutoFS. I give a try to it yesterday, did not test the AufoFS, but it have a nice integration with ZFS - how ever it seem still a bit buggy. I've used sysutils/automount and sysutils/automounter in conjunction with success. However, I found automount more of a hindrance than a boon as I prefer a USB stick not be mounted automagically in case I want to use the dd command. sysutils/dsbmd does not mount automatically, and that is for what sysutils/dsbmc is in there - and/or sysutils/dsbmc-cli. You can find all dsb project here. Thanks for the link. I've never used it but it looks nice. I ended using sysutils/dsbmd I don't like the idea to have separate folders for sticks, mtp and ptp devices as autofs needs. Also, it mounts my EFI partition. Lumina looks promising, but it's dependency on x11/xscreensaver is disaster. Just give me blank screen without 50 perl deps. Also, it mounts my EFI partition. it will be automatically unmounted after some time with autounmountd daemon, which is started by autofs_enable="YES". sysutils/dsbmd pauses computer shutdown for 1 min. (Stopping dsbmd .... waiting for PIDS on tty0). Jul 24 22:05:23 sphinx kernel: , 789. Jul 24 22:06:22 sphinx kernel: . 789 is daemon pid, but other errors are not related, I saw them before. I do not have this problem, but your messages show a consolekit ioctl(2) error. Try disabling consolekit to see if it will still hang for a minute. I do not use consolekit, but as you already are using consolekit maybe sysutils/hal would be a better option for you. hal is dead for a decade And consolekit is not related to hal. I think, consolekit error is unrelated and harmless, 'unresponsive client' is dhcp client, it becomes upset when ipsec goes down. Relevant messages are from kernel (1 minute). Probably, I should look in sources Very strange that only dsbmd is slow to stop. sysutils/dsbmd pauses computer shutdown for 1 min. I've never seen this problem before. I don't want to hijack the thread, but what version of dsbmd are you using? Maybe there is an unresponsive device which is polled by dsbmd. If you're using dsbmd >= 0.3, you can disable polling by setting poll_interval = 0 in /usr/local/etc/dsbmd.conf, and see if the problem persists.